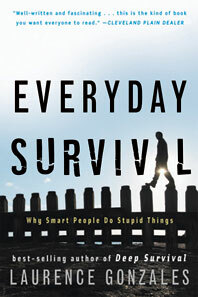 Everyday Survival - Description | W. W. Norton & Company Ltd.
“Curiosity, awareness, attention,” Laurence Gonzales writes. “Those are the tools of our everyday survival. . . . We all must be scientists at heart or be victims of forces that we don’t understand.” In this fascinating account, Gonzales turns his talent for gripping narrative, knowledge of the way our minds and bodies work, and bottomless curiosity about the world to the topic of how we can best use the blessings of evolution to overcome the hazards of everyday life. 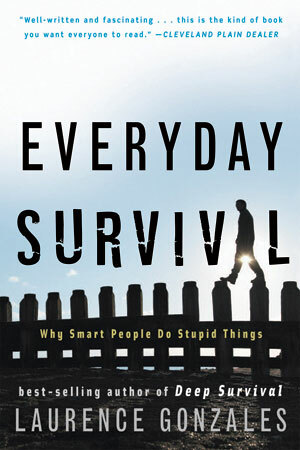 Everyday Survival will teach you to make the right choices for our complex, dangerous, and quickly changing world—whether you are climbing a mountain or the corporate ladder.